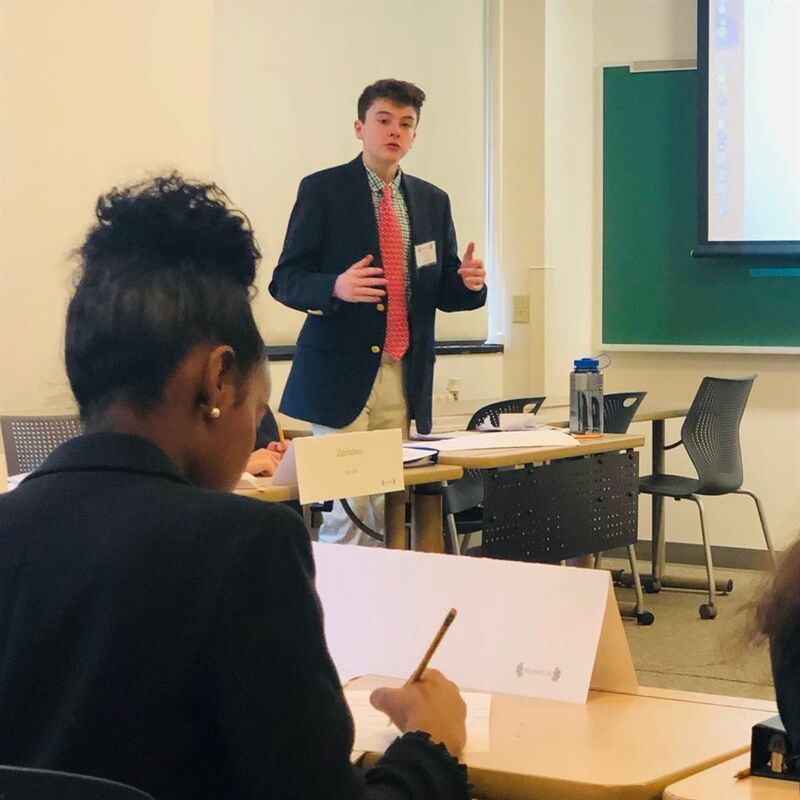 In early February, seventeen students from Derby Academy's Model United Nations Club attended Boston University Academy’s Model United Nations Conference (BUAMUN), earning several high awards. Joined by 250 other delegates from 15 different middle schools, including students from Canada and Honduras, student-delegates debated important issues ranging from cyber security to artificial intelligence over the course of the two-day conference. Some students also participated in their first-ever "crisis committees," in which students responded to changes and updates to world problems in real-time.